Multiple factors contribute to whether your Facebook advertising campaigns succeed or fail. Copy, imagery, optimization, bidding, placement, and countless other factors all matter. But nothing matters more than targeting. In order to have this consistent, dependable success, you need to graduate beyond interests, which is best for top-of-the-funnel targeting. 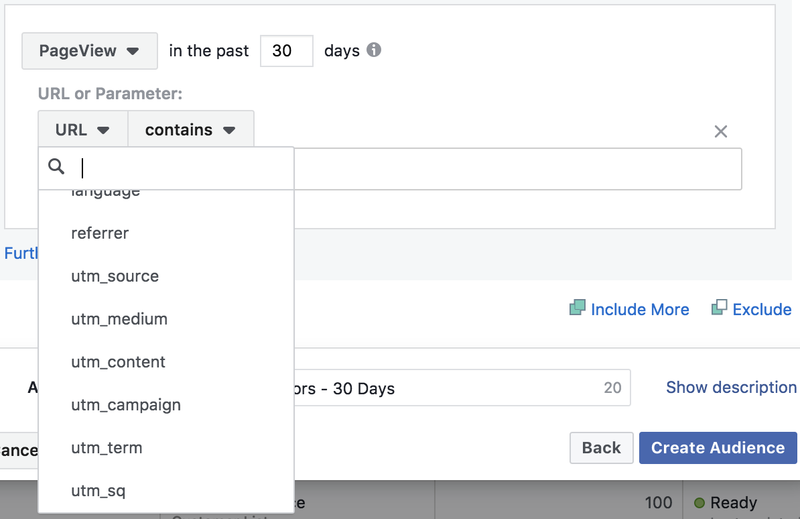 For sustained middle and bottom-of-the-funnel results, it’s imperative that you master warm targeting with Facebook Custom Audiences. Custom Audiences began as a simple concept, launching with the ability to target current customers by email address in 2012. It’s nearly six years later, and advertisers have a cupboard full of ways to target customers and those who engage with them — both on and off of Facebook. But consider this list a starting point. Many of these options are buried, and you’re bound to be exposed to a few for the first time. I encourage you to read through and experiment with the audiences that you can leverage. It’s the granddaddy of Custom Audiences. Originally, this type of audience and “Custom Audiences” were used interchangeably. With this method, advertisers upload a customer list to Facebook with up to 15 identifiers. Facebook then searches out those same people on the platform. Typically, you can expect anywhere from 30-70% of your list to match up to Facebook users. When you’re done, you can use this to target or exclude users on Facebook. The primary advantage of creating Customer File Custom Audiences is that those on that list are a customer at some level. They either provided an email address or made a purchase from you. As a result, this will be a valuable list for targeting that can be used for all purposes. Of course, there are some inherent weaknesses with this method. First, uploading a customer file results in a one-time, static audience. What that means is that as your customer list updates, your audience doesn’t — at least, it doesn’t without the help of a third party tool. If you don’t update it some way, the audience will be outdated and lose its effectiveness. Another weakness is that the identifiers that a customer provides to you may not be the same information they provide to Facebook in their profile. Notably, a customer may provide you a different email address than what they publish for their friends. This will make the match rate less successful. …or importing via MailChimp integration. The thought here is that you first upload an entire customer list with up to 15 identifiers, as you would above. But you then include a column for Lifetime Value for each customer. 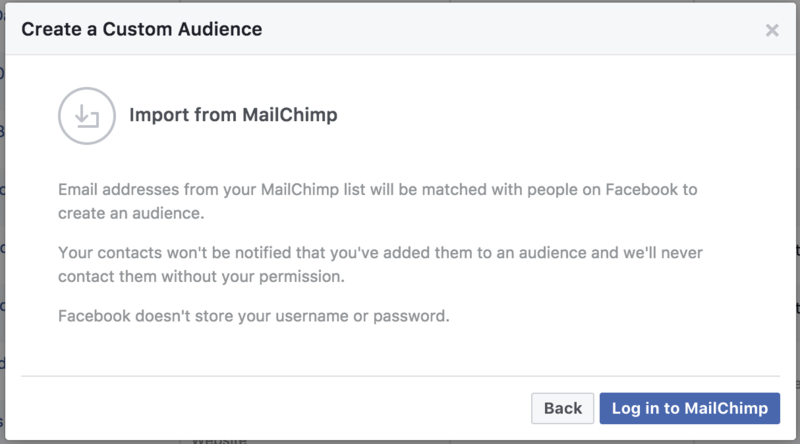 This list wouldn’t be used for targeting, but instead becomes a source so that Facebook can generate a Lookalike Audience of people similar to your most valuable customers. More on Lookalikes at the bottom. And now it gets good. Real good. Website Custom Audiences allow advertisers to create audiences based on actions performed on the pages of their own website. This is thanks to the Facebook pixel, which is a snippet of code added to your website. The granularity of the audiences you can create depends partly on the amount of traffic as well as your diligence creating detailed pixel events. What’s nice about WCAs is that they update in real time, and the match-up rate is high. Below is a sampling of the powerful audiences that you can create. You can include an entire URL, partial URL, or multiple URLs or keywords. There are a million and one uses for this type of audience. Not all website visitors are created equal. Focusing on those who spent the most time — though a smaller audience — can lead to amazing results. The PageView event is one example. In the example above, you can create an audience of people who performed any search on your website. But you can also focus on searches by specific keywords. What operating system and software were people using when they visited your website? The language setting on someone’s browser can help you surface content to the right people in the proper language. Using the example link above, we could create the following audience for the “email” medium. 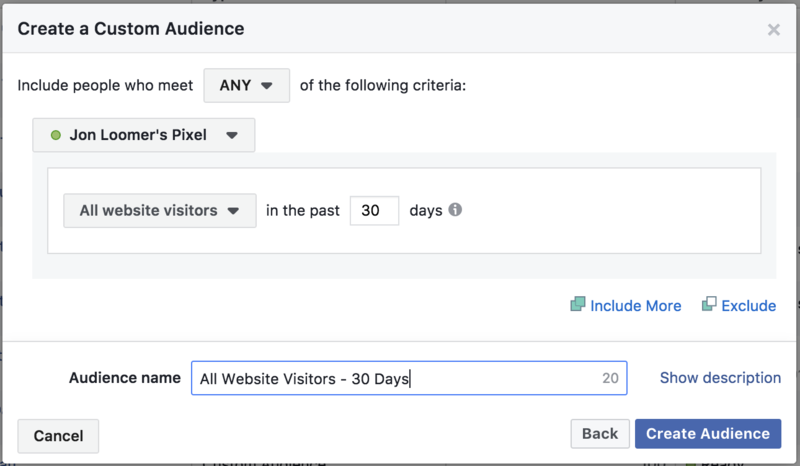 You can create audiences based on the value of purchases made on your website, assuming you’re using the value parameter with your Facebook pixel event code. Earlier, you saw how you could create audiences based on a single purchase. But you can also do so based on all purchases someone made in aggregate. If you have an app (mobile or web) utilizing the Facebook SDK, you can create audiences of people based on their activity within that app. This can be a great opportunity for re-engaging and pushing people further along the funnel. Back in 2016, Facebook launched Offline Event Sets, allowing advertisers to provide Facebook with offline data that could then help show whether such sales were influenced by your ads. This was extremely valuable for brick and mortar stores, in particular, who struggled to show the impact of their ads. 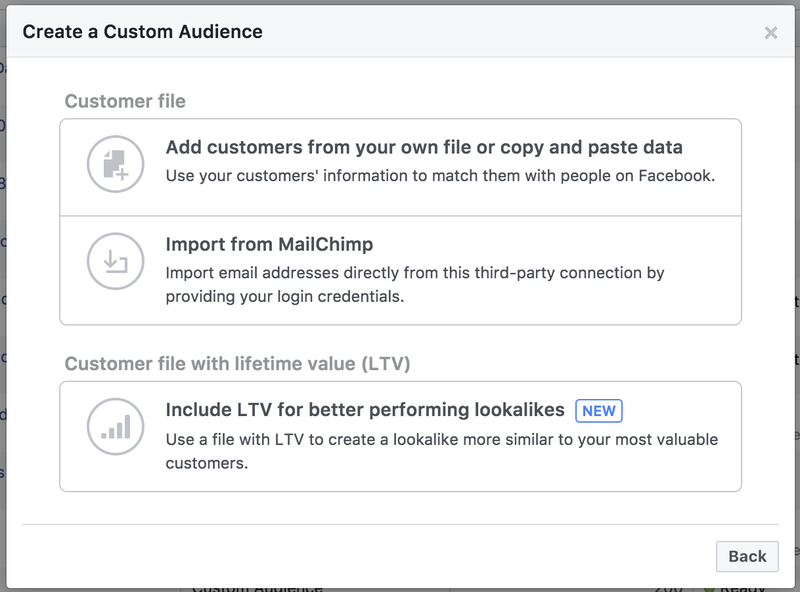 About a year later, Facebook followed that up with Offline Event Custom Audiences, allowing you to create audiences of those who purchased something offline. When you send Facebook your offline data, you include a column that indicates the event performed. This can then be used to refine your offline event audience. A great top-of-the-funnel audience is anyone who engaged with a video (or multiple videos) you’ve published. Someone can view your video — with or without sound — and automatically be added to an audience for you to target later. Clearly, a 3-second view would be the lowest quality but result in the largest audience. Facebook Lead Ads allow advertisers to collect leads (email addresses and other contact info) without sending a user away from Facebook. Thanks to this Engagement Custom Audience, those who engage with the form can be added to one of three different audiences for targeting and exclusion purposes. Advertisers can create audiences based on the interaction with one, multiple, or all forms you have during a given time period. This includes everyone who opened the form, whether they submitted it or not. Facebook launched Facebook Canvas in its continued attempts to keep people on Facebook and improve the user experience. Canvas presents an immersive mobile experience for users who can view videos, images, product feeds, text, and more in one view. For publishers, the one issue with this was losing the traffic and potential targeting power that goes along with sending someone to your website. This was changed with the launch of Fullscreen Experience Custom Audiences. You can create audiences of people who engaged with any Canvas, or one or more specific Canvases. You can provide links within your Canvas, though they don’t need to go to your website. That’s where creating these audiences can be helpful. Think, for example, about a Canvas promoting a product with a button that sends users to an Amazon page. The Facebook Page Engagement Custom Audience is a sneaky effective audience to target. You may assume that those who visit your website will be more effective than those who interact with you on Facebook, but that is not always the case. In fact, it makes sense. Interacting with you on your website doesn’t mean they’ll interact with your ad on Facebook. And if someone has engaged with you on Facebook before, they’re likely to do it again. Is your business on Instagram? If so, you can create an audience of those people who engage with your profile there — in nearly identical ways as with your Facebook page above. Your Instagram profile will need to be a business profile, and you’ll need to connect it to your Business Manager in order to access this feature. It’s an old school feature, but many marketers still run Facebook Events. I’m not talking about the pixel events this time, but the posts on Facebook that alert people of an upcoming party or other activity. Thanks to this Engagement Custom Audience, you can create audiences of people based on their specific activity with any event or specific events. It may be cheating a little bit to include Lookalike Audiences because these aren’t people who are connected to your business in any way, but this is — at least loosely — part of the Custom Audience family. Lookalike Audiences allow you to target those who are similar to people who are already connected to or interacting with you. Facebook does this by looking at a source audience (your Facebook Page or a Custom Audience), finding the similarities among those people, and finding a larger group of people who are similar to them. This is particularly useful when your source audiences are small and you need to start somewhere. 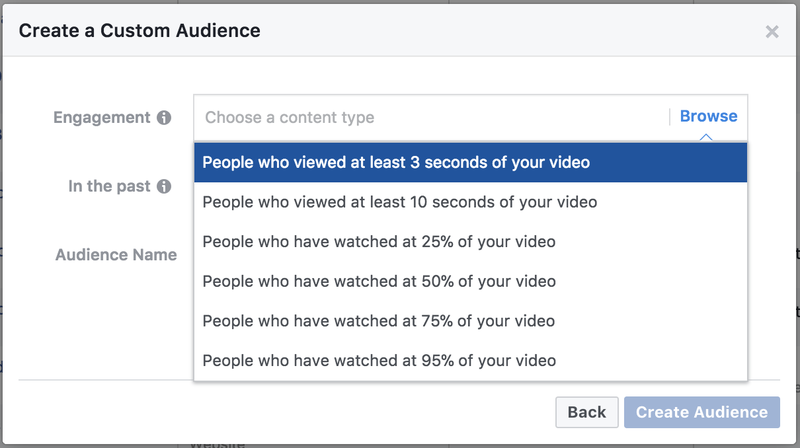 I’ll cover these audiences in much more detail in my Advanced Custom Audience Targeting Training Program, but this is a good list to get you started. Any other audiences I missed? Let me know in the comments below!